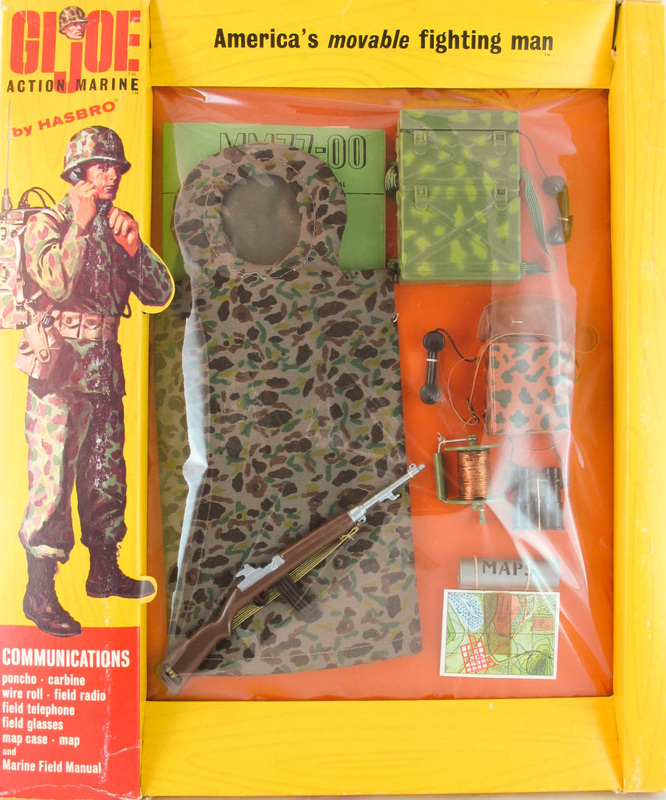 The Marine Communications (7701) set features one of the most highly sought-after variations in its earliest version, the small green camouflage field phone. Other early features on the set above include a yoked hood and white stitching on the poncho, pill box hinges on the radio (see detail picture below), and rubber boots on the figure. The window box (above). 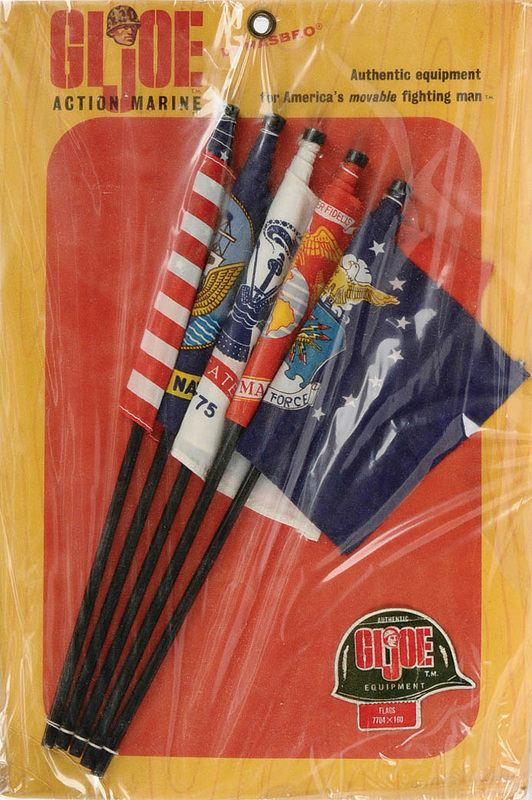 The accessories above, less the carbine were also available on two small cards, as well. The radios (7703) are below, and are courtesy of Vectis Auctions Ltd , as are the flags (7704). Poncho (7702) courtesy of Anthony Gunter. 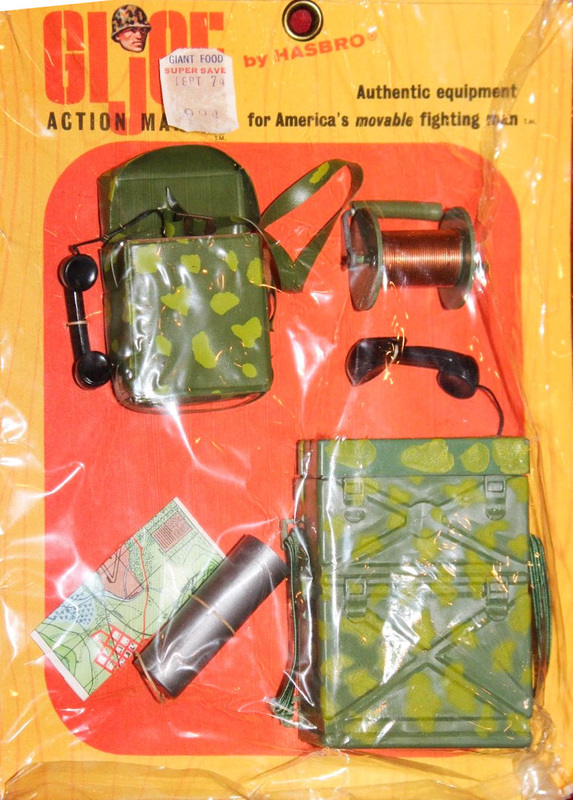 The standard issue of the set with the brown field phone. This example has an early version poncho as well. The green field phone compared to the much more common brown version (left). Above, note the different types of hinges on the radio. The pill box hinges on the right are earlier than the pinned hinge on the left. 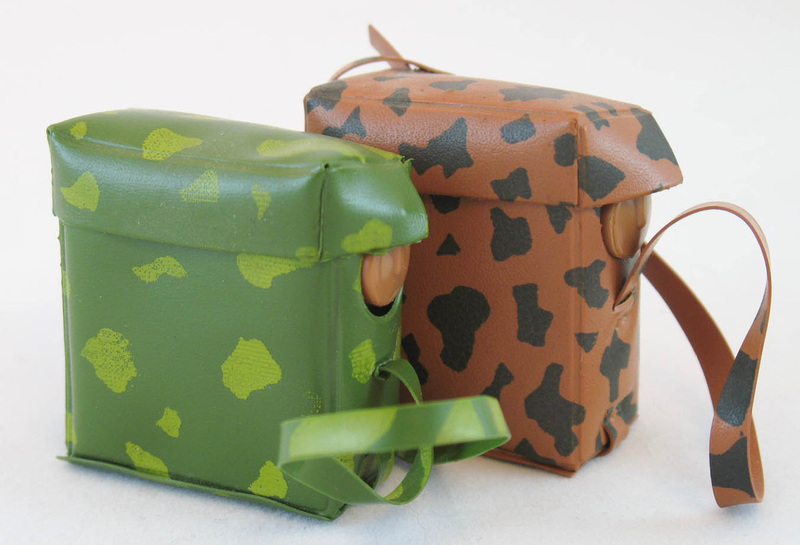 Dave Auerbach shared this fantastic image of his super rare carded green cammo field phone. It was found in a lot of un-given Christmas gifts when cleaning out his mom's house. He posted it for sale on eBay in November of 2015. See his eBay auctions here.